For the wastewater treatment plant, commissioned during 2016, that shows the greatest innovation in terms of optimising its physical or environmental footprint. 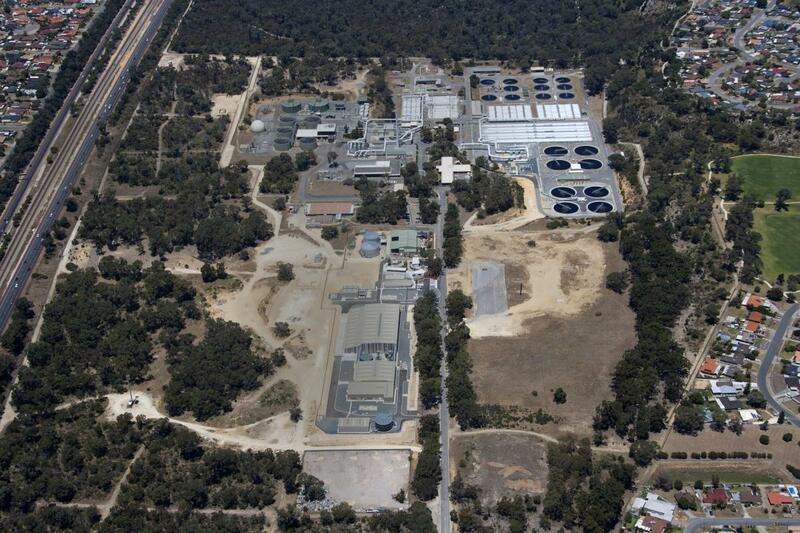 An A$125 million (US$95 million) project to build a 38,356m³/d advanced water recycling plant adjacent to the Beenyup wastewater treatment plant in Perth, Western Australia, and inject the potable quality product water into the Leederville and Yarragadee aquifers. A joint venture of CH2M and Thiess designed and built the plant for Water Corporation. It is operated by the Aroona Alliance (Water Corporation/Suez/Broadspectrum). The facility uses Dow UF and Hydranautics RO membranes on skids manufactured by Hager + Elsässer, complemented by FEDCO energy recovery devices and a UV system from Calgon Carbon. This project celebrates a landmark moment in Western Australia’s ongoing battle to climate-proof its drinking water supplies. Natural flows into Perth’s dams plummeted to record lows in 2015, and while seawater desalination can now produce a third of Perth’s water needs, groundwater recharge provides a less expensive and less energy-intensive alternative. A three-year groundwater replenishment trial proved crucial to mustering the community and political support the project needed, while allowing time to establish a policy and regulation framework. The regulatory agreement means that for every litre of treated wastewater injected, an additional litre can be abstracted from the same aquifer. The success of this project convinced the state government to endorse a plan to double the size of the scheme by the end of 2018. The city hopes to roll out the programme at other major wastewater treatment plants, recharging aquifers so as to provide 20% of Perth’s drinking water by 2060. A multi-year programme to clean up contamination in the Antarctic. The project included landfill leachate treatment, remediating historical diesel spills, and culminated in 2016 with the installation of an MBR facility and the piloting of an advanced water treatment plant. Veolia has been a long-term partner of the Australian Antarctic Division and the Australian Water Recycling Centre of Excellence, working with TasWater and Coliban Water, as well as two universities in Victoria. Xylem supplied the ozone and UV equipment for the advanced water treatment plant, which also employs Metawater’s ceramic MF membranes, a Dow RO system, and instrumentation from Hach and Wallace & Tiernan. Martin Membrane Systems supplied the MBR plant, while AECOM provided technical assistance. The Antarctic is one of the world’s harshest yet most precious environments, with unique contaminant dispersal challenges. The sustained 15-year commitment to clean up historic pollution while using cutting-edge technology to provide fresh water to the dedicated research community is a shining example of how science and nature can work together for the greater good. An MBR plant commissioned in 2016 will be complemented by a seven-barrier advanced water treatment plant at the Davis research station, which brings the capability to produce world-class potable water from secondary effluent within a closed-loop system. The plant was rigorously pilot-tested in Tasmania prior to shipping it to the Antarctic, where it will operate in a temperature-controlled environment. The environmental benefit of the programme is not its only lasting legacy – the concurrent risk framework developed by Veolia, Coliban Water and the University of Melbourne around chemicals of concern has the potential to revolutionise mainstream water utilities’ sampling protocols, whilst significantly lowering infrastructure operating costs.